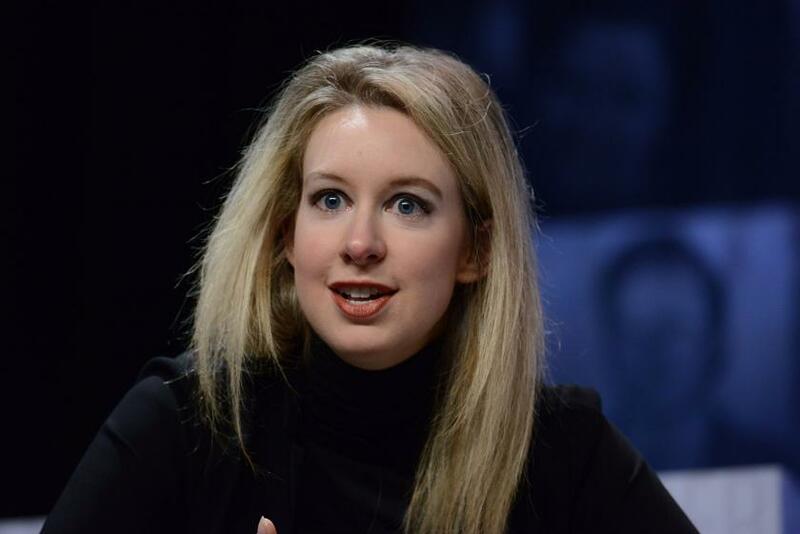 Feds Try To Take Down Theranos, But Is The Blood Test Company Valued At $9B The Underdog? Federal health regulators proposed banning Theranos’ founder from owning or running any laboratory for at least two years, following the biotech company’s failure to fix problems at a California laboratory. The March 18 sanctions letter from the Centers for Medicare and Medicaid Services (CMS) obtained by the Wall Street Journal gave Elizabeth Holmes, founder and CEO, 10 days to respond. Now, the federal laboratory regulator is deciding whether Theranos’ written arguments will delay or reduce the sanctions, which have not yet been imposed. Seeking to revolutionize the healthcare industry, Theranos offers blood tests that cost less and require less blood to be drawn, direct to consumers. The company, reportedly valued in excess of $9 billion, changed Arizona laws so that state residents can have their blood tests performed by a technician, without a doctor’s approval, at stations hosted by Walgreens. Troubles began last fall when CMS discovered problems at the company’s Newark, CA laboratory, including that the director of the lab lacked proper qualifications, the freezers did not maintain proper temperatures, and issues with the accuracy of results. Brooke Buchanan, company spokesperson, said a Plan of Correction submitted to CMS addresses the actions taken by the company to correct mistakes. These actions include personnel changes, enhanced quality systems and expert support, and the suspension of certain tests. However, the regulator claims Theranos’ remedies have not been satisfactory. “We will continue to work with CMS to ensure every issue has been fixed completely,” said Buchanan. With multiple levels of appeals possible, this drama will continue to unfold in the next few months. However, if Holmes is barred from running labs in the United States for the next two years, the business, currently valued at $9 billion, would be difficult if not impossible to run. According to sources, the sanctions imposed by the Medicare regulators are both unusual and the most extreme. In response to these actions, Walgreens closed a single Theranos testing station in Palo Alto and will not open additional testing centers until this situation resolves. Walgreens still houses over 40 Theranos testing centers in Arizona. The word Theranos combines the words therapy and diagnosis. The company’s stated mission is to make actionable information accessible to everyone in order to facilitate the early detection and prevention of disease and empower people to take command of their own health. The startup is headed by Elizabeth Holmes, who dropped out of Stanford at age 19 to realize her vision of empowering people to take control of their health. “The paradigm right now is this [medical] information is too complicated, you’re not capable of understanding it, and therefore you shouldn’t have access to it,” Holmes told Matthew Herper at the Forbes Healthcare Summit in December. Yet, this same lab data drives 80 percent of the decisions made by your doctor. Worse, these tests are unavailable when they matter most — before you become sick. Holmes wants to make tests available at low cost just like you might go and buy a pregnancy test — this, too, was once impossible without a doctor's help — at a pharmacy. Her long-term vision is to empower and enfranchise individuals to play a role in healthcare, which ultimately would be transformative. Theranos’ technology is based on the work she’d done at Stanford testing blood for SARS, where she had discovered multiple tests could be run on much smaller quantities of blood with quicker results. Most of the 240 or so tests offered use a finger prick, while those tests that do require the familiar venous draw use pediatric testing needles and vials. It hurts less, another key aspect of her mission. “I grew up in a family that was involved in disaster relief,” Holmes said, explaining how she left Stanford to begin her company. Growing up in Washington D.C., she recalls being a little girl and watching people who wanted to serve and had good intentions yet failed. “I began to be really interested in the concept that building a business could be a vehicle for making a difference in the world,” she said. Intelligent, attractive, and young, Holmes’ disruptive technology attracted the venture capitalists and the reporters. Her Silicon Valley start-up, which has remained private, skyrocketed in value within record time and the financiers attached a price tag to her as well; she is assessed at multiple billions of dollars. Naturally, the spotlight intensified and the number of her critics grew. Some of the criticism is justified. Scientists question whether the finger prick method can give results equal to the more painful blood draw; sources suggest interstitial fluid from the finger prick mingles with the blood and, effectively, contaminates the lab sample and its results. Last fall, the Wall Street Journal questioned the reliability of the company’s tests. In response to her critics, Holmes voluntarily presented her tests to the Food and Drug Administration for approval. As of December, the company has about 130 pre-submissions at the agency. If the CMS strikes a blow and banishes Holmes from running laboratories for two years, it would be impossible for Theranos to continue as is and could lead to the company’s demise. What would happen next is anyone’s guess; possible moves include the venture capitalists restructuring the company (Holmes ousted) or selling off the company’s parts, patents, research, and intellectual property. In that case, it’s easy to imagine someone else — someone much more slick — snatching everything, finding a way to mass market her dream, and earning boatloads of money for doing so. Even if the worst happens, then, Holmes’ vision of granting us all greater freedom, greater control of our own health and bodies may not be lost entirely.